AT: What traditional elements did you inject into the collection and how did you keep it modern at the same time? CM: There are several traditional elements in the collection: one is the fabric, made of pineapple fibre (piña). 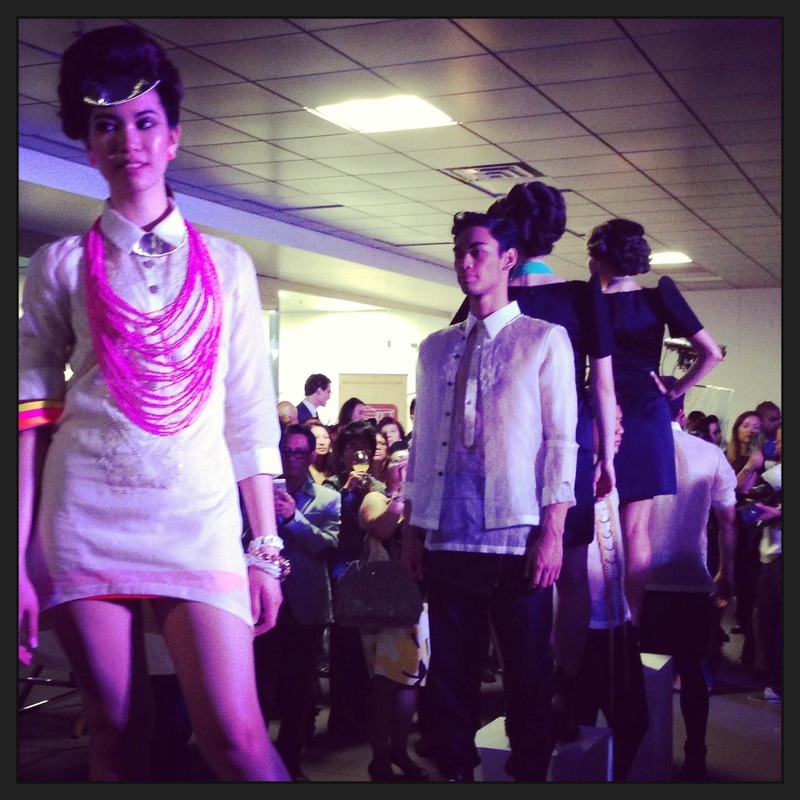 Piña is indigenous to the Philippines and is only produced in the Philippines, by hand loom. It's something that is unique to the culture, so I definitely wanted to keep that. 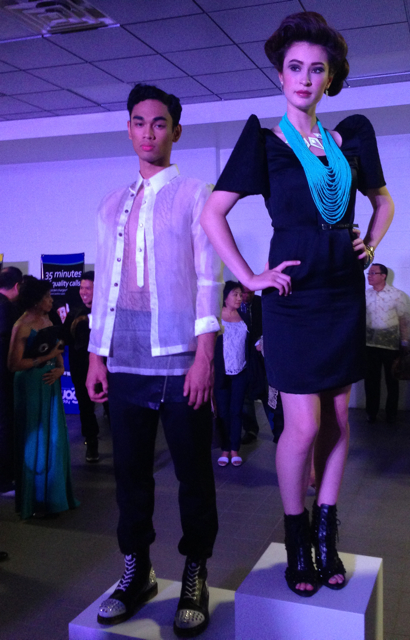 I also kept the traditional butterfly sleeve on the terno dresses. Locally called kañamaso, this sleeve is what gives our dress the distinctive look. The modern elements of the collection is in the fit and silhouettes. The Men's Classic Barong, is traditional in its design, but the fit is slimmer and much more modern. With the ternos, the silhouettes are a modern sheath and empire waist, but with the traditional sleeve. AT: What were your inspirations for the collection? CM: The main inspiration for the collection was to create Filipino cultural clothing that was fashionable and wearable. Often you see Filipino cultural clothing that look like "costumes", which is how Filipinos refer to them -- and I never liked that. 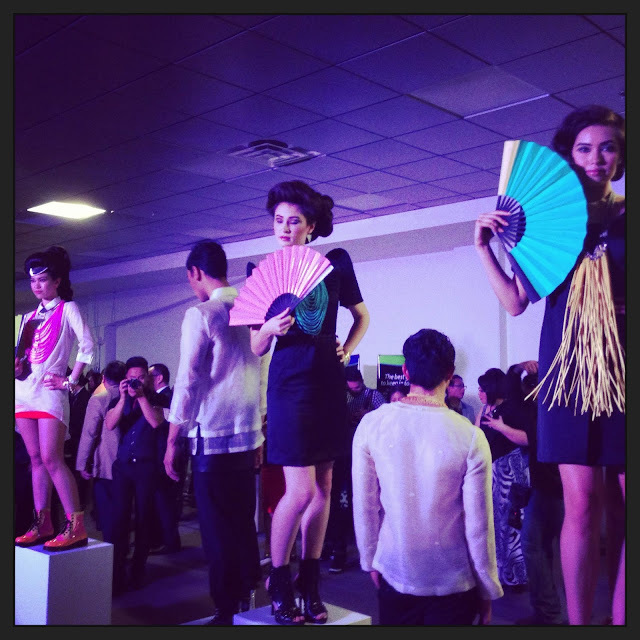 I always wanted to be able to rock the terno at a dressy event, so that's what I went about creating. AT: Do you use traditional techniques in your designs? CM: Yes, definitely! Again the kañamaso or butterfly sleeve is very traditional. The sleeves itself are very labour intensive, and there is a specific sewer who specializes in making just the sleeves. Also, the piña textile is still produced in the exact way as it has been for the past 200 years. It is woven by hand, mostly in Aklan, a town in Panay Island, south of Luzon, where the capital city is and takes one woman two weeks to weave enough fabric to make one barong. AT: How did you become a designer and what inspires you every day to design something new? CM: I have a background in fashion design and went to fashion school… many moons ago. Though this is really the first time I forayed into actually producing a clothing line (see the next question for more). My inspiration to design something new is pretty selfish, it's so that I can wear it. I love fashion, but I look at what's out there, and I always think "if it was this colour it would be perfect" or "if the cut was just slightly changed this way it would be perfect" -- I have a very functional approach to design. My process in design is like this: 1 - It has to be wearable and fit well, 2 - It has to be flattering to the person wearing it, 3 - It has to LOOK AMAZING! AT: You created Vinta to be a social enterprise initiative of Kapisanan Philippine Centre for Arts and Culture - Can you explain how it works? How is the community involved/how can they get involved? CM: VINTA is an enterprise that functions as part of KAPISANAN. All profits/earned revenue for VINTA is funnelled to sustain KAPISANAN's operating costs and supplement funding for our youth programs. I came up with the idea because we often get Filipino-Canadians calling KAPISANAN for cultural clothing -- makes sense as we are a cultural centre. 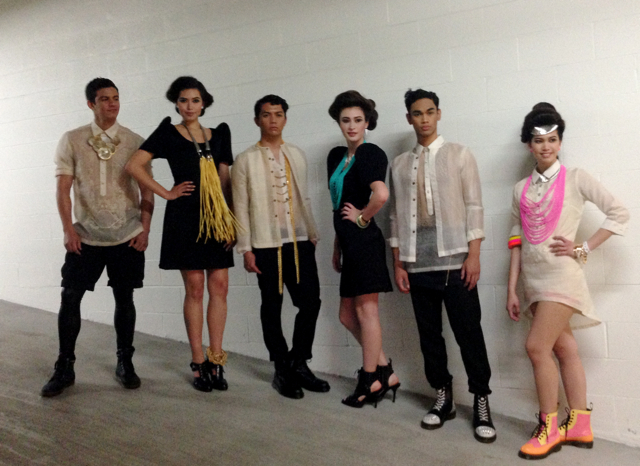 And once I did the research, I realized there is no shop in Toronto that sells Filipino cultural clothing. So this is what brought me into revisiting my old love of fashion. The community can get involved by buying some amazing clothing and supporting a bigger cause! AT: You provide youth/apprenticeship training - how can students find you? AT: Where can we buy your designs? CM: VINTA will be market ready in time for Kapisanan's 8th Annual KULTURA Filipino Arts Festival this August 7-11. It will be available at our Kensington Market headquarters 167 Augusta Avenue. What a wonderful interview and great clothes. Loving the black dress!! Amazing interview and great pictures, love it! !